Current system: 4KW. Current inverter: Unsure. New battery to be installed in garage. Install ASAP. Contact anytime. Solar PV. 7 years old. Replace the inverter. Timescale ASAP. Contact anytime. Adding powerwall 2 to present 1st generation tesla battery. Timescale within 3 months. Contact anytime. Solar PV. Two aspects facing east and west, pitched and tiled. No shading and no windows. Size system - 4kw. Work timescale ASAP. Contact anytime.. 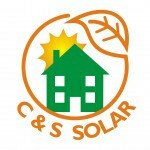 Solar panels clean and safety check, 8 panels. Work to be done: asap Contact: anytime. Maintenance of an existing Solar PV installation. (earth fault on panels). ASAP. Contact: anytime. Roof facing s/e/w. Pitched and tiled. No shading. No windows. Open to suggestion regarding system size. Install within 6 months. Contact anytime. Solar pv south facing roof. Pitched and tiled. Timescale ASAP. Contact anytime. Solar PV. Roof: South/West facing. Pitched and tiled. No shading . No windows on roof. Wants to discuss size . Install within 1 month. Contact anytime. Solar PV. Roof: southwest. Pitched and tiled. Slight shading. No windows on roof. Wants a 4kw system Install within 1 month. Contact AM. South facing. Pitched & tiled. No shading. Some windows. Open to suggestions regarding system size. Install ASAP. Contact evenings. Appointments anytime. Large Care Home. Swimming Pool. Flat roof. Timescale within 1 month. Contact anytime. Appointments flexible.